North Korea made an unexpectedly friendly gesture toward the U.S. on Tuesday, when it released one of the three American citizens it is currently holding. Jeffrey Fowle, a 56-year-old father of three from Miamisburg, Ohio was set free to very little fanfare. According to Reuters, North Korea contacted U.S. officials and requested government transport to take him out of the country, and to set a time. Fowle was later picked up by a Defense department airplane at Pyongyang Sunan International Airport and transported to Guam, before traveling back home. In all likelihood, Fowle’s case was the flimsiest of the three current American detainees, having simply been accused of leaving behind a Bible at a sailor’s club in Chongjin. He is also not the first U.S. detainee to be released over the past year: Merrill Newman was let go in early December 2013. According to Victor Cha, senior advisor at the Center for Strategic and International Studies, “In North Korean eyes, Jeffrey Fowle’s offenses may have been seen as the least severe (of the three U.S. prisoners) and therefore excusable.” However, Cha remains surprised that Pyongyang decided to let Fowle go, given its outspoken antagonism toward the U.S. in recent months, the latest and most vitriolic being last week’s accusation that the U.S. was trying to incite nuclear war, after the release of former Defense Secretary Leon Panetta’s memoirs. 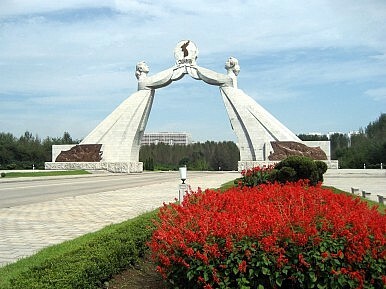 According to Stephen Haggard at the University of California in San Diego, a Pyongyang expert, this could be an attempt by the North to seem “reasonable.” He says that it is part of a larger “charm offensive” that includes discussions with Japan over abductees and recent high-level talks with South Korea. However, Pyongyang has tempered these diplomatic overtures with exchanges of gunfire with South Korea and missed reporting deadlines with Japan. Fowle was in all likelihood low-hanging fruit for North Korea. His release has the potential to generate goodwill with the U.S., while his stated crime was not as substantial as the allegations leveled at the other prisoners. In addition, Pyongyang still has two more American citizens that it can use to try and extract visits from high-level U.S. officials, just as it did with former presidents Bill Clinton and Jimmy Carter. Is North Korea Really ‘Rattled’ By the U.N. Prison Camp Inquiry?Evolution of the U.S.-ROK Alliance: Abandonment FearsNorth Korea to Engage or Provoke?From Prisoner Release to Normal Links with North Korea?Why Isn’t North Korea Angry About Its Isolation?